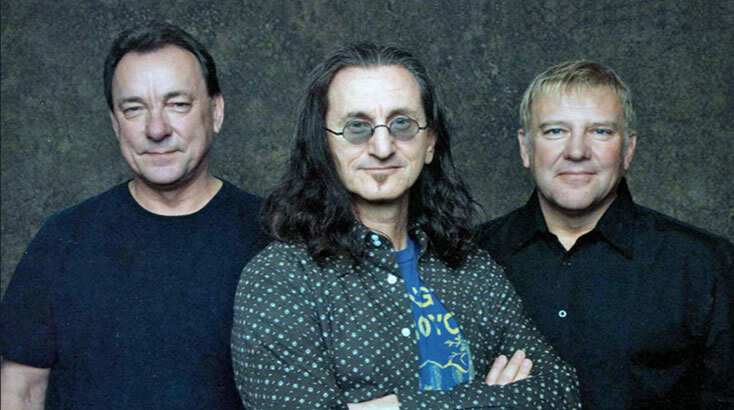 Rush evolved from the synth-drenched style of previous albums with the 1996 release, Test for Echo. The musical style delivered by the Canadian trio hearkens back to the hard rock sound of the group’s earliest years but with a definite diffusion of lyrical themes. At first listen, the songs may be a bit thick, but once you get through this opaque outer atmosphere you can hear the real underlying genius of this record. Rush started to move away from its 1980s style with Presto and, to a lesser extent, on their early nineties albums Roll the Bones and Counterparts, both of which were produced by Rupert Hine. In each of these cases, it was evident that the band was attempting to forge a distinct and relevant sound. Their sixteenth studio album and first one beyond the trio’s twentieth anniversary, Test for Echo was produced in collaboration with Peter Collins. Released three years after its predecessor, this album marked the first time that such a lengthy gap happened between studio albums as each of the band members embarked on outside projects. During this time, drummer Neal Peart studied with jazz great Freddie Gruber, which led to his radical decision to change to a more traditional grip from that point forward in his career. Test for Echo starts suddenly and dramatically with a strong but measured chord pattern that builds ever so subtly before erupting into a classic-Rush style rudimentary riff. Stylistically, this song seamlessly passes through multiple repeating sections, while thematically it is a somewhat poetic commentary on life. The song reached #1 on the Billboard Hot Mainstream Rock Tracks chart and nearly topped the Canadian Singles Chart, making “Test For Echo” Rush’s most successful single in about a decade. The equally intense “Driven” starts with a hyper-tense riff in an odd-timing with a strategic verse break of Alex Lifeson‘s acoustic guitar to temporarily break the tension. Lyrically, this song explores the dangers of over ambition. “Half the World” is another philosophical rocker with animated and entertaining music throughout. Here, Geddy Lee provides some of his finest bass work on the album, with Lifeson layering some great electric and acoustic guitar textures. “The Color of Right” has a heavy blues rock feel in the vein of AC/DC through the intro, while the rest of the song drives through with nice, upbeat textures, making it a fine listen, but just short of its full potential as it doesn’t unravel like it could. While including some of the regrettable eighties-style synths, “Time and Motion” does thankfully settle into a guitar-centric riff jam for the verses and choruses, while “Totem” features another musical jam, albeit a mocking tone lyrically against people of faith. The highlight of the later part of the album is “Resist”, which starts with moderate a piano and acoustic verses, accented with fine bass and lead vocals. This is a true change of pace for the heavy rock album and gives it some real depth overall. Following the bass-driven near-instrumental of “Limbo” with slightly comical elements, “Carve Away the Stone” closes things out with Lifeson’s majestic electric guitar and Peart’s lyrical theme about removing obstacles in life. 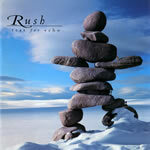 Test for Echo reached the Top 5 on the album charts and was followed by an extensive North American tour by Rush into 1997. However, personal tragedy in Peart’s life lead to a five-year hiatus by the group into the next century.